Jim has been serving the Tampa Bay Area for residential mortgages for the last 33+ years. Over the course of those years, he has arranged to finance for over 6,000 families. Please use Jim’s wealth of experience to make your buying needs come true. 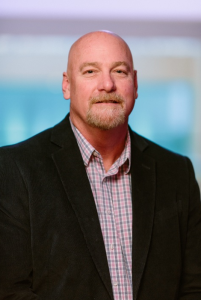 As a loan officer and area manager with AmeriFirst Home Mortgage, Jim Fisher takes pride in guiding his clients through every step of the homebuying process to find the best loan and terms available to meet their needs. Buying a home is one of the largest financial investments many people may make in their lifetimes. For this reason, Jim makes it a priority to be an educational resource for his clients. In the mortgage industry since 1985, Jim has worked with and arranged to finance for over 5,000 families. He knows that sharing his knowledge of the home buying process and being available to his clients can help to ease their stress and minimize their concerns. He especially takes pride in helping first-time homebuyers find their dream homes. 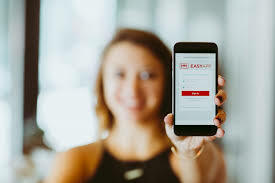 Start your application for a loan from your phone in minutes with our convenient online mortgage application. for quick and easy loan application and toolkit for all of your mortgage needs! Jim offers a full line of flexible loan products including FHA, VA (Veterans), USDA Rural Development and conventional mortgages. Backed by a knowledgeable team of mortgage professionals, he also specializes in renovation loans, as AmeriFirst is one of the nation’s top renovation lenders. Jim would love to share more with you about our business philosophy and what drives us to be your number one choice for all your home mortgage needs. Feel free to browse the links to the right and explore what AmeriFirst Home Mortgage has to offer. “What a fantastic job on my loan! The whole process exceeded my expectations.”- Sam F.
“Thanks, Jim we really appreciate how smooth the process went, thanks to you!”- Nick G.
“Jim & his staff made my dreams come true when they closed my loan in 15 days from start to finish!”- Jevonne M.